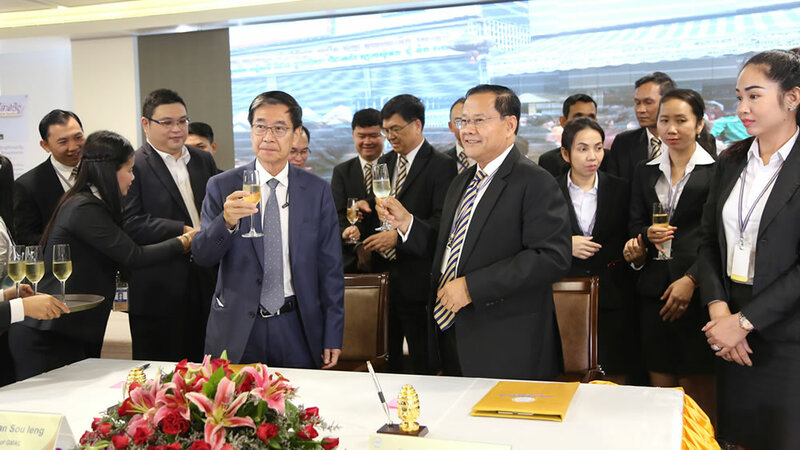 Phnom Penh, November 19th, 2018, ACLEDA Bank Plc. 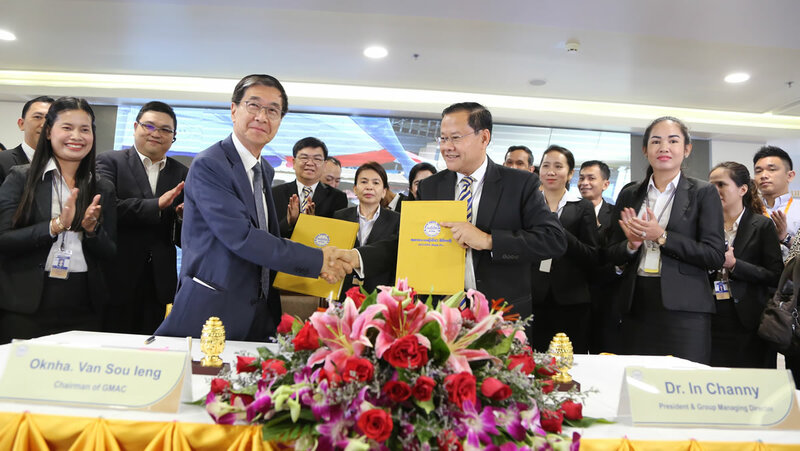 has announced today that the Bank signs agreement with Garment Manufacturers Association in Cambodia (GMAC) on Payroll Service. The signing ceremony is done at ACLEDA Bank Plc. Headquarters between Dr. In Channy, President Group Managing Director of ACLEDA Bank Plc. and Oknha Van Sou Ieng, Chairman of GMAC. Dr. In Channy, President & Group Managing Director of ACLEDA Bank Plc., said that "ACLEDA Bank Plc. is delighted that it can cooperate with GMAC in providing payroll services to the workers of GMAC. The agreement with ACLEDA Bank enables GMAC to electronically transfer their workers' salaries to their individual payroll accounts at ACLEDA Bank Plc. securely, quickly and conveniently with no risks." "The workers can have access to their payroll accounts 24 hours a day, 7 days a week via ACLEDA Unity ToanChet, and ATMs or at any counters of ACLEDA Bank branches and offices nationwide during office hours. Essentially, through ACLEDA Unity ToanChet workers can transfer money, pay electricity/water supply bills, top up phone, view account balance and make payment via QR code displayed at ACLEDA ToanChet Partners more than 16,000 partners throughout the country with free of charge," Dr. In Channy added. 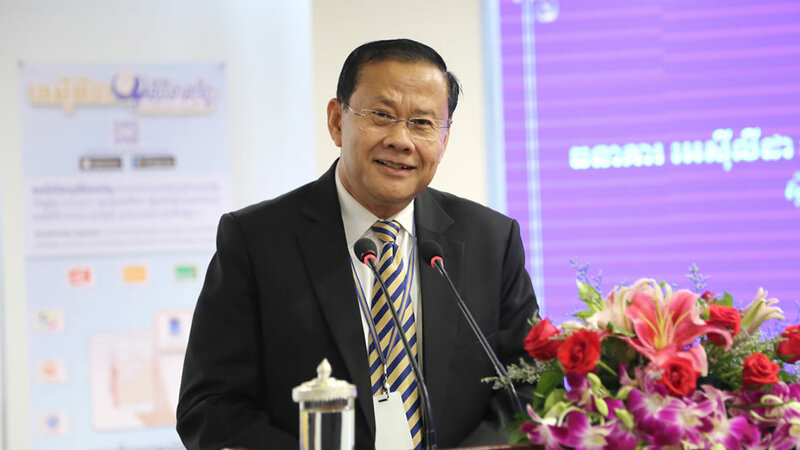 Lok Oknha Van Sou Ieng, Chairman of GMAC, said that "ACLEDA Bank Plc. helps a lot of workers and provided them with high security and quickly. He also uses electronic banking service of ACLEDA Bank Plc., especially ACLEDA Unity ToanChet." 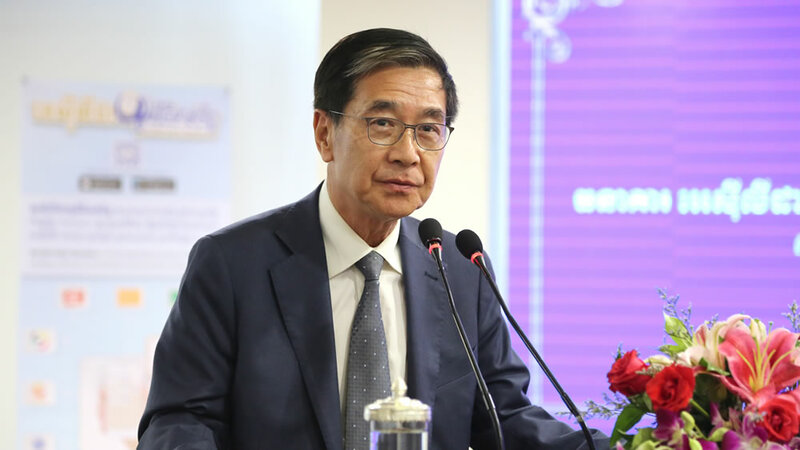 "Currently, GMAC has 566 members with 608,479 employees when the workers use this service, it makes them save time and money in cash management and payment via digital mobile banking product anytime and anywhere," Lok Oknha added. He also motivated all members of GMAC to use ACLEDA Bank services for its special benefits as a whole. Currently, ACLEDA Bank Plc. has five subsidiaries: ACLEDA Bank Lao Ltd., ACLEDA Securities Plc., ACLEDA Properties Ltd. ACLEDA Institute of Business, and ACLEDA MFI Myanmar Co., Ltd. as well as representative offices in the Republic of the Union of Myanmar. By October 2018, the Bank's total assets, loans and deposits were 5.69 billion US dollars, 3.47 billion US dollars, and 3.79 billion US dollars respectively. It also had over 2.5 million customers using its products and services. Vice President & Deputy Head of Marketing Division, ACLEDA Bank Plc.